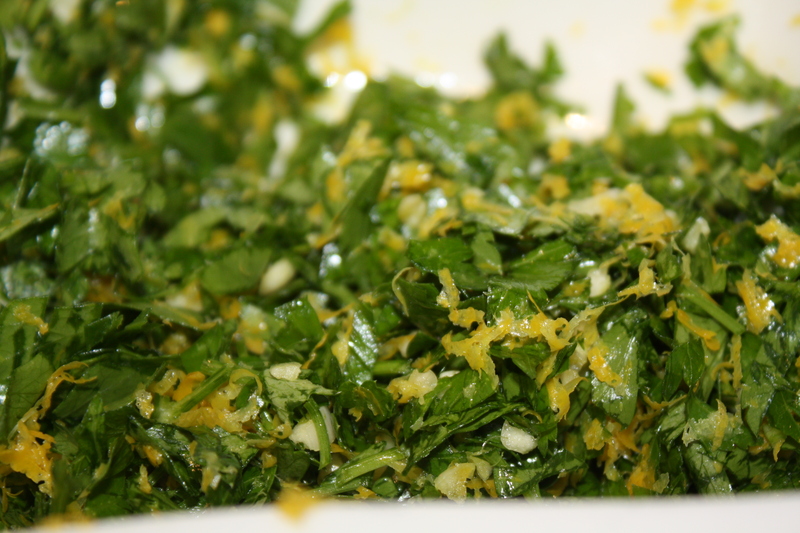 Gremolata is used in Italian cuisine as a garnish for Ossobuco alla Milanese. 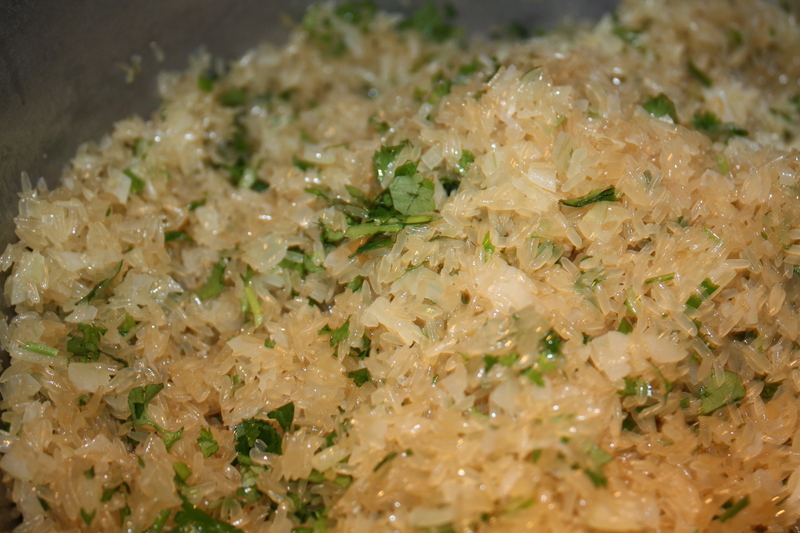 I also like to use it to garnish salads and my favorite; to season my Gremolata Capellini. Believe me when I tell you the combination of tastes just burst in your mouth! 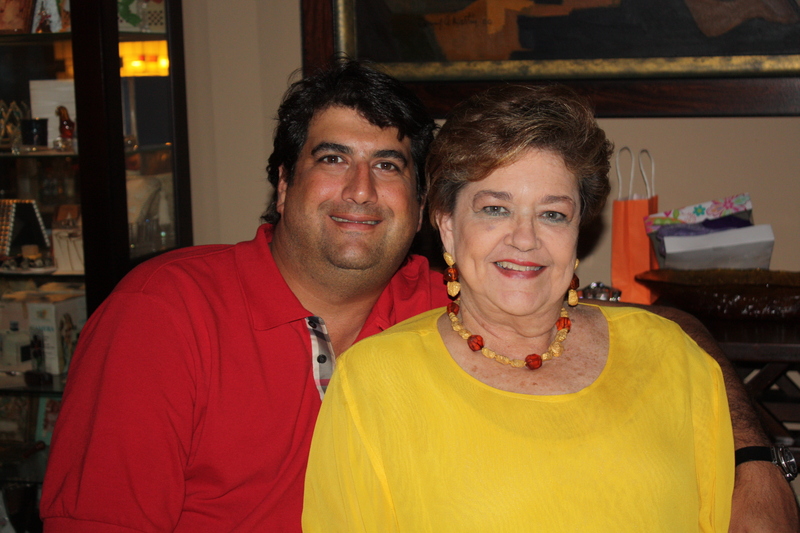 Last Sunday we celebrated Mother’s Day. In honor of this occasion, we had a family gathering at my house. The afternoon started sipping Champagne Rosé and snacking on crackers with bleu cheese and raspberry jam. For a late lunch/early dinner, my mother made her famous Shrimp with Vegetables in Pink Sauce as an appetizer and I made Ossobuco (recipe coming soon) with Gremolata and Risotto Milanese for our guests. For dessert, I served Vanilla Flan as well as Strawberry-Cheese Flan my brother Manolo and his fiancé Janitza brought. We had a full house and a wonderful time! 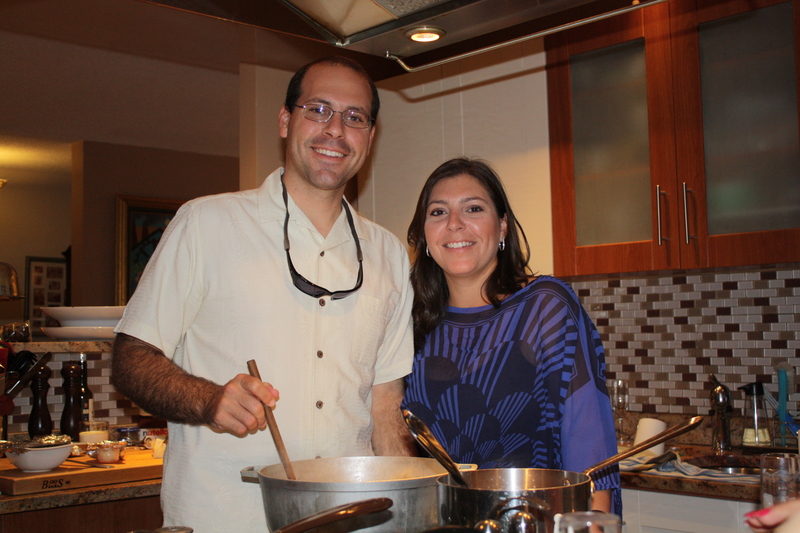 My brother Joaco helped in the stirring of the risotto which took a while because we made a huge batch for our group of almost 20 persons which included members from both sides of the family. Of course, Mother’s Day is everyday, but let us embrace this holiday as a friendly reminder to be thankful and respectful of all the mothers and/or mother-like women in our lives who take care of the dirty little behind-the-scenes details that make our lives better each day. It is a day to honor and recognize their courage and sacrifice because we all know life is complicated and sometimes just not fair. So, I am proud to say that last Sunday in my house, we had 3 generations of outstanding mothers from which I have learned the meaning of love, compassion, determination and respect. 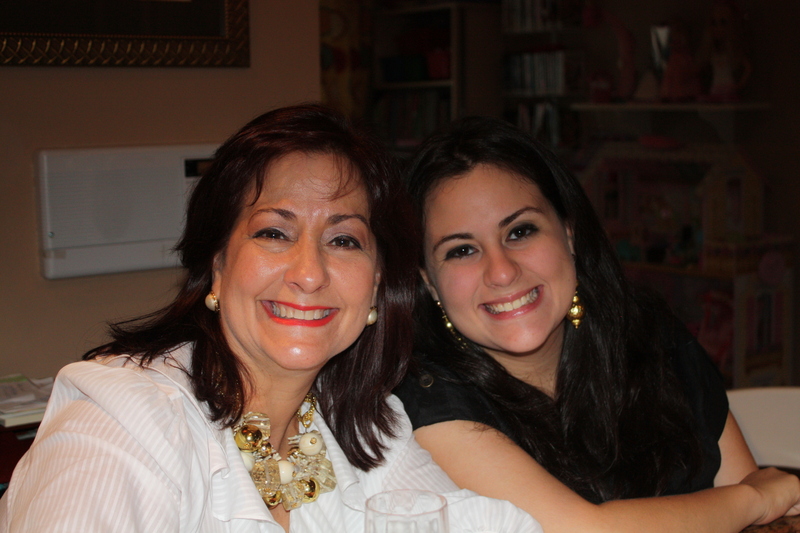 I am very grateful to count these blessings… Thank you Mami! 1. Grate lemon zest (be careful not to get any of the white pith of the lemon). Mix together in a bowl. Use to garnish Ossobuco, salads or or flavor pasta. You may refrigerate up to one week. I’m back!!!! As you may have noticed, I like all kinds of rice. When I started to make this recipe a long time ago for a Mother’s Day Celebration in my house, I chose to make it with parboiled rice because it is the best rice to use when cooking for a large group of people. This rice dish is tasty, fragrant and easy. It goes well with stir fry veggies, stews, braised or roasted beef, chicken or barbequed meats or seafood. I also use it as my base rice for my “Arroz con Amarillos” recipe. I want to know… how many of you know what parboiled rice is? All I knew was that when I cooked it, it took a bit longer to cook than white rice and that it was fool proof when cooking large amounts because it never became clingy or sticky. So I set out to find out what it really is and here are the facts according to http://www.rice-trade.com and wikipedia. 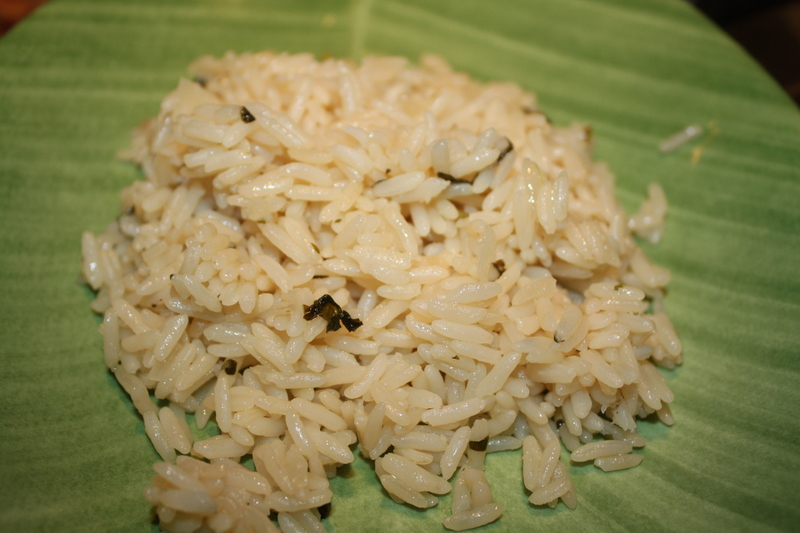 Parboiled rice is rice that has been partially boiled in its husk. This procedure makes parboiled rice richer in nutritional value than processed white rice because the steaming seals most of the nutrients in (about 80% nutrients of brown rice). Parboiled Rice is produced by a process of soaking, pressure steaming and drying prior to milling. Parboiling is a patented process. It changes the nutrients of the rice kernel. After undergoing this process and proper milling, the rice obtains a light yellow or amber color although the color largely fades after cooking. It cooks up fluffy and separate. It forms the main course of the meals for millions of people in Asia and else where. Many processed food such as popped or puffed rice products are produced from brown rice or parboiled rice for use as breakfast cereals and snack foods. While in the paddy form, the rice is soaked and then steam cooked. This process does not allow the kernel to swell during the cooking and the moisture level does not exceed 40%. The starch granule is cooked (technically gelatinized), but not allowed to swell. The rice is then dried while still in the paddy form and then passed through a standard milling process to remove the hull and bran. This process has been going on for centuries in many countries and is believed to have started in ancient India. Parboiled rice has a higher vitamin content than raw milled rice. Parboiled rice is quite nutritious, being an excellent source of niacin, a good source of thiamine and magnesium and a moderate source of protein, iron and zinc. Levels of vitamins and minerals fall between white rice and brown rice. Parboiled rice is widely used in the catering industry as it is less sticky when cooked. It is good in salads and retains its flavour and quality when kept hot for serving large numbers of people. All rice comes from the field with insect eggs in the germ of the rice. These eggs hatch when the temperature is warm and moisture is available. The high temperatures occurring during parboiling kill any insect eggs in the rice and essentially sterilize it. Parboiling also mends the cracks in the rice , that is, it glues broken rice back together and dramatically improves the milling yield of whole kernels in the rice. 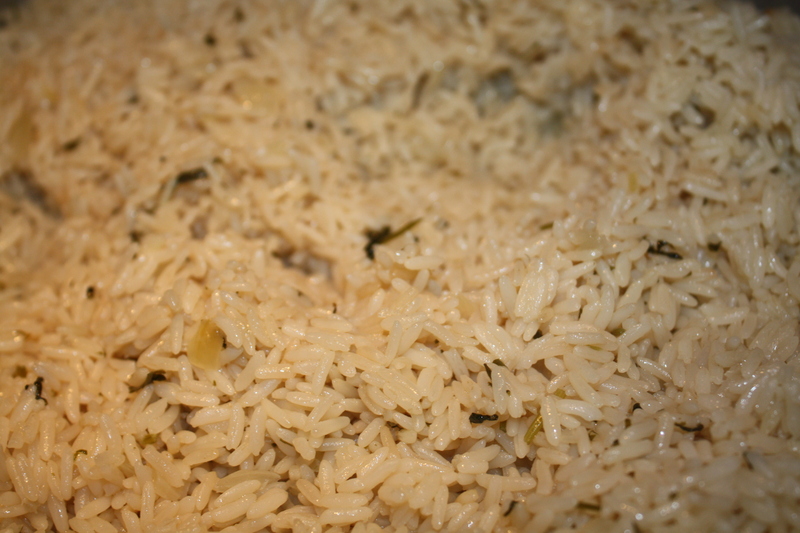 Parboiling changes the texture of the rice. It becomes firmer and less sticky. It is a much more durable kernel. It takes just as long to cook (actually a little longer) as white rice, but is much easier to cook. It can be overcooked without being mushy or losing its grain shape. It is the only type of rice that can withstand the harsh treatment of most industrial processes that involve cooking and then freezing, canning, or drying. 1. 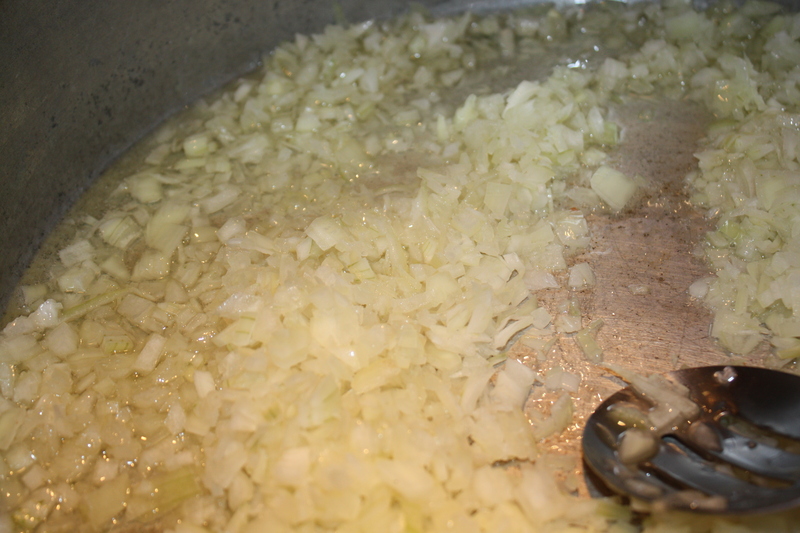 In a small-med caldero or heavy bottom saucepan, heat oil (medium) and sauté finely chopped onions until translucent. 2. 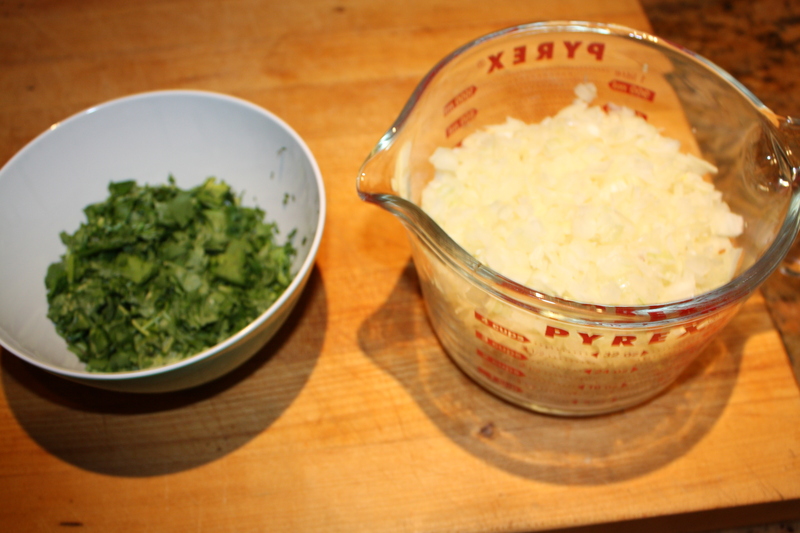 Add parboiled rice, cilantro and salt and sauté for about 1 minute. Then add chicken broth (lower heat a a bit under medium to prevent rice from sticking to bottom of pan). Allow liquids to dry up and then stir rice. 3. Cover to finish cooking in low heat until rice is fully cooked. Don't miss a recipe! Enter your email address to subscribe to this blog and receive notifications of new posts by email.